Breakfast is the most important meal of the day, why not also make it the most delicious? 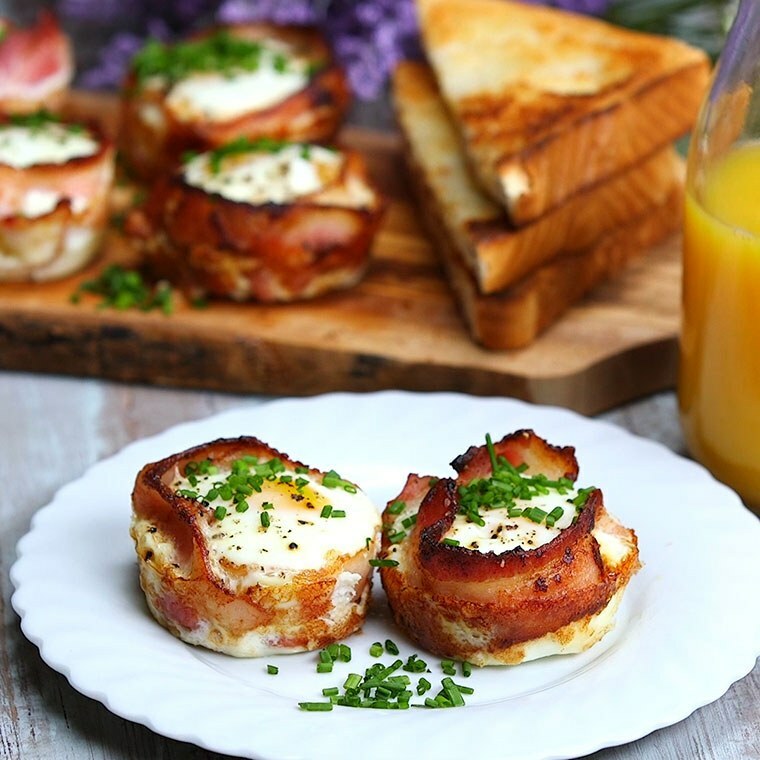 These Bacon and Egg Cups are so good you might just want to eat them for lunch and dinner too! Easy to make and have low carbs so if you are trying to eat healthier this is a great breakfast! Check out how easy it is to make these below! 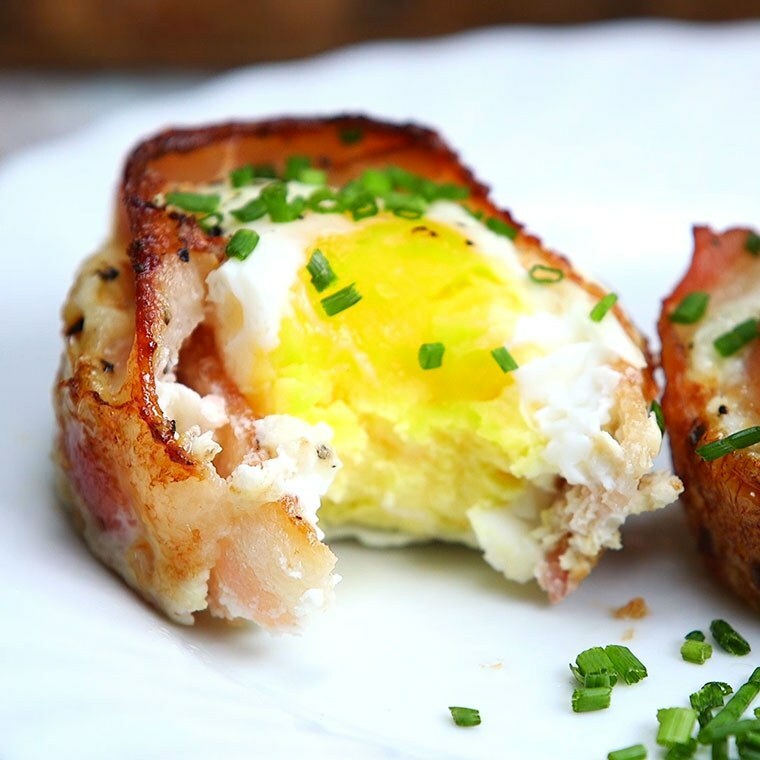 Try some more delicious breakfast ideas! Start by lightly cooking the bacon in a skillet. Make sure that it doesn’t get crispy and is still pliable. 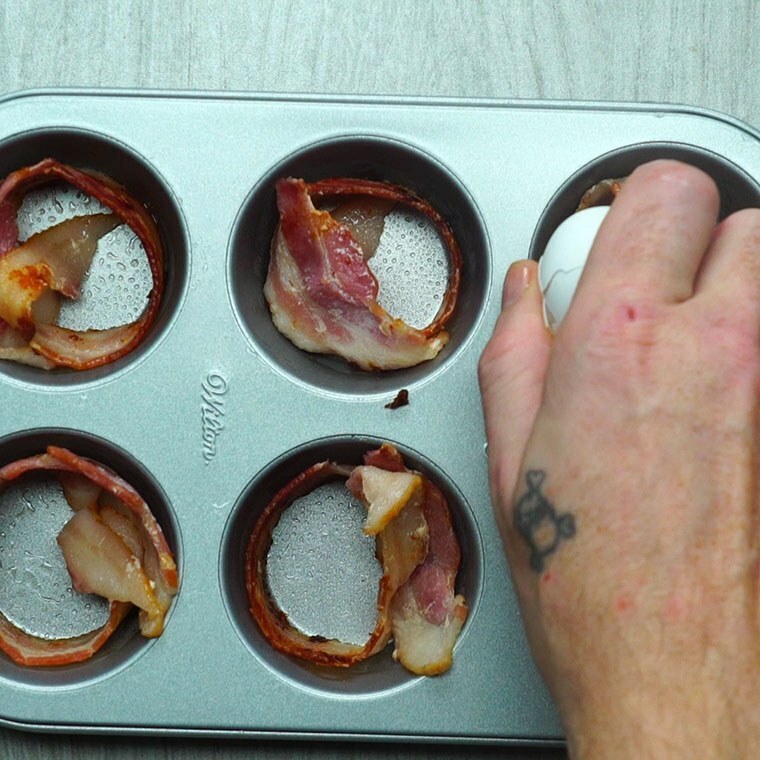 Take the bacon strips once they are lightly cooked and put them in a ring inside a greased cupcake tin. 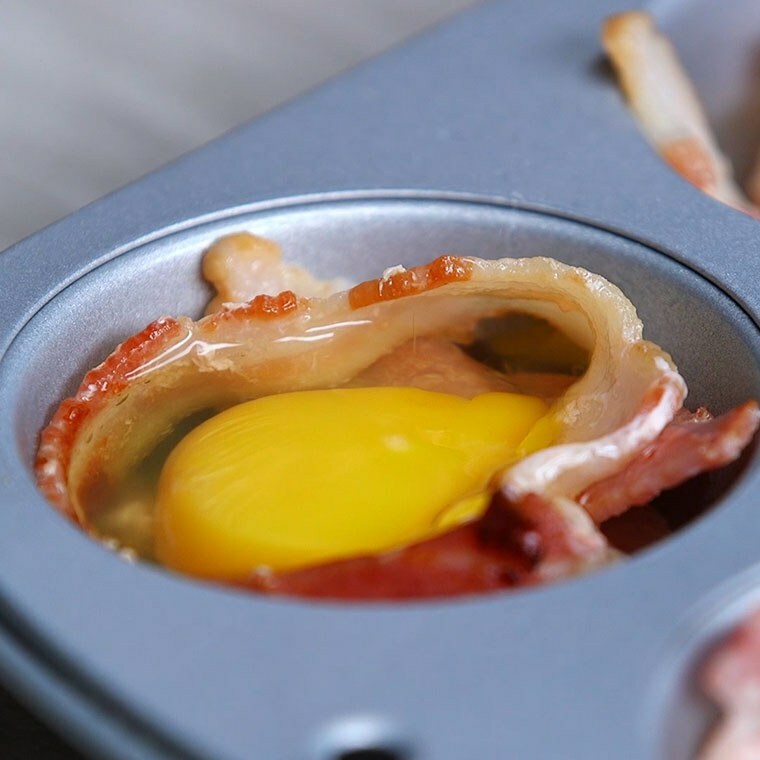 Then start cracking the eggs directly into the center of the bacon rings. 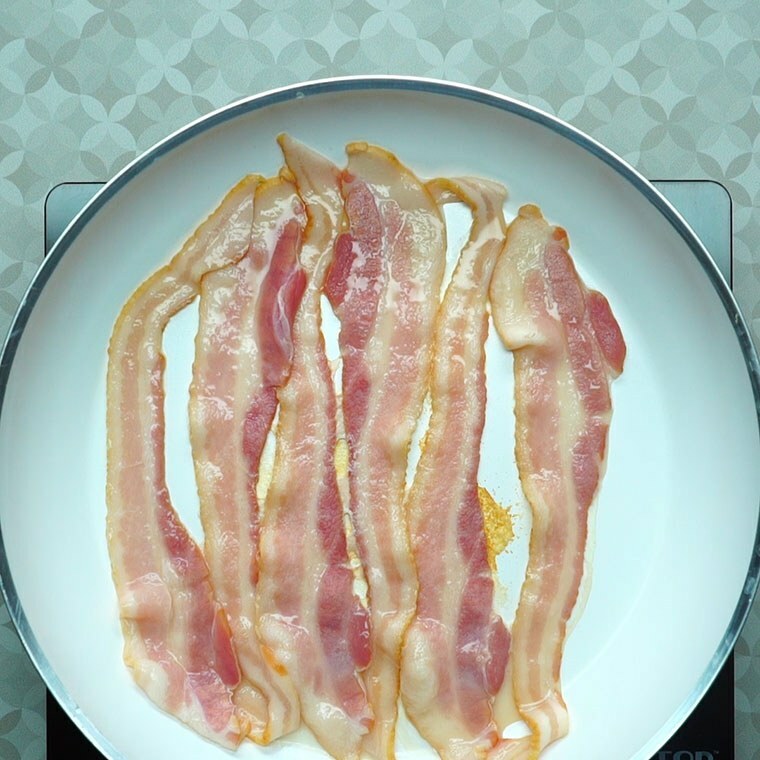 Add salt and pepper to taste – keep in mind your bacon will be pretty salty so don’t add too much. 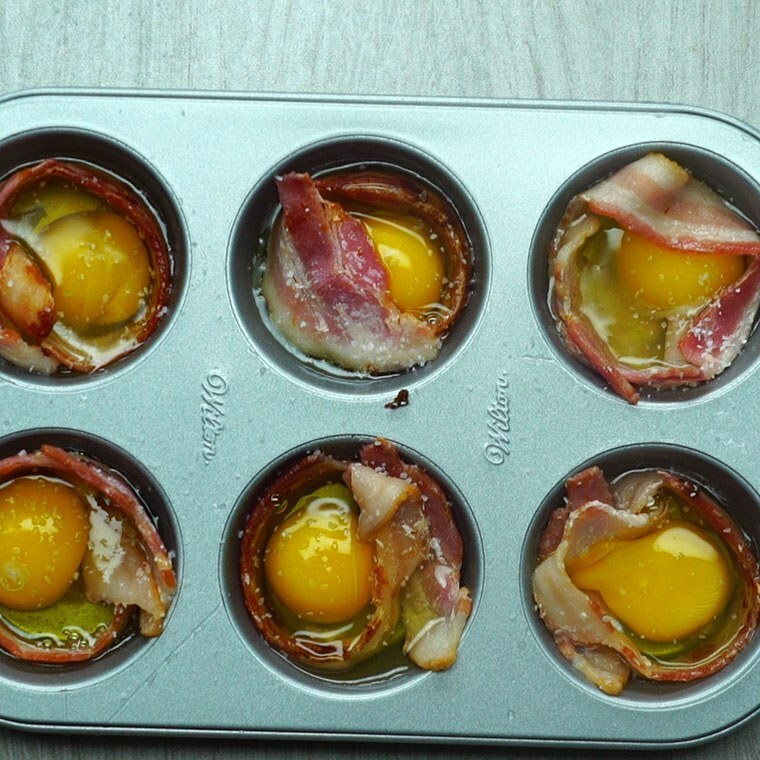 Bake for 12-15 minutes or until your eggs are cooked. Serve with chopped chives sprinkled on top or whatever other toppings you like on your eggs!